While at my friend T's annual ladies night I went on my usual scrunchie rant. It always starts off with "no self respecting women would wear a scrunchie anymore" I had a few glasses of wine so I'm sure my rant went on for longer than I intended. Soon after my rant I had to pee, due to all the wine and found a very large collection of scrunchies in T's guest bathroom. I feel like the drunk gods swooped down and stapled my mouth shut since I didn't burst out of that bathroom saying what the F are a million scrunchies doing in there. It turned out that her mother in law who was at this party and staying with her was the owner of said scrunchie collection. She even asked T if women no longer wear scrunchies, T claimed only young silly girls in their 20's feel that way. I also have a co-worker (who will never read this blog) who matches her scrunchies to her scrubs every day. Monday is pink day, so pink scrubs, pink earrings, and of course a pink sparkly or with things dangling off of it scrunchie. 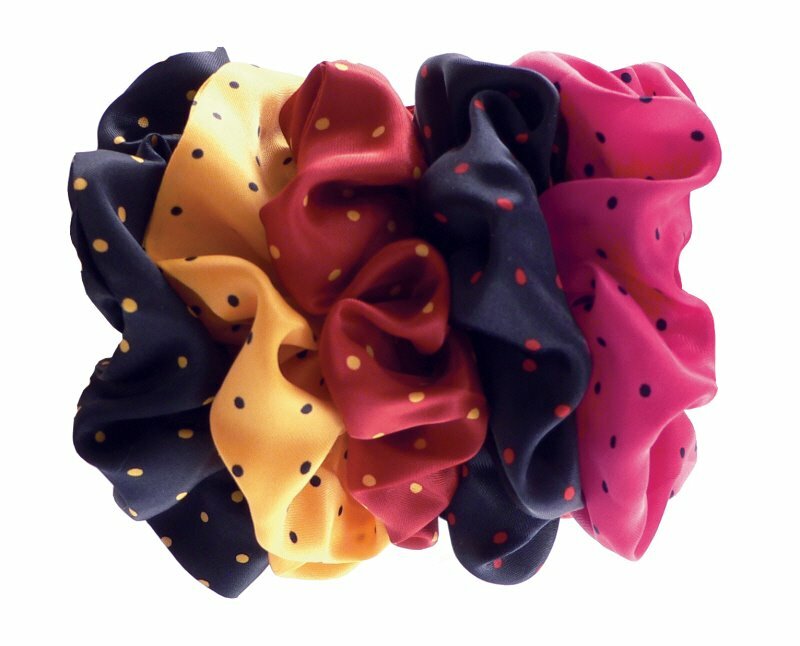 In 2011 where are these women buying the ever so offensive scrunchie, they should only be used if you are a figure skater or have to be sick and need to pile your hair up quickly. I feel like they are unhygienic and unattractive, I should really hold a scrunchie burning ceremony (I feel that strong). 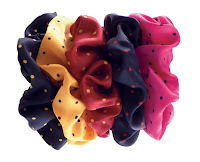 If you have friends that enjoy to wear a scrunchie, please do the right thing and tell them. Or steal them screaming stop the ugliness, stop the ugliness and toss them under a bus. If you see the beginning of this episode, she explains why no women should ever wear the offending piece. Hair elastics, bobby pins and cute head band are definitely in, scrunchies have been out for so long they should be in museums. I too hate scrunchies. Im amazed when I see people wearing them, and I too wonder where one gets such things in this day and age. This should be a hint to anyone about anything: if youre wearing ANYTHING that was in style more than 10 years ago, its time to ditch it.